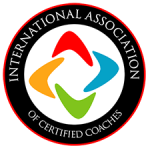 In fact, many coaches will experience a failure to launch when it comes to their coaching career simply because they don’t know how to overcome this form of false guilt. 1. I don’t have enough training. First off, let me say that the need for training is a valid one. There are a number of individuals I see every day that are selling coaching or perhaps think they are coaching people that really aren’t. The problem isn’t the valid need for training. The problem is that simply getting training likely isn’t going to resolve the credibility issue in the mind of this coach. Because the sense of guilt is vague and unqualified like most false guilt. Do you need to read 5 books or 10 books? How many blogs do you have to read? Podcasts do you have to listen to? Workshops you need to take? Hours spent in the classroom? Practice sessions? How much money do you need to spend before you’re credible? What seal of approval do you need? I know a coach from Orange County, California that I met some years back. He’s a really gifted individual that got certified as a coach from a program that seemed to have all the credibility factors checked off. It cost them a smooth $10,000. 3 years later, this coach still hasn’t had a single client, but they are really busy fraternizing with other coaches as well taking ongoing training. I wish I could tell you that this isn’t common, but it is. The credibility issue with regard to training, really isn’t about training at all. What these coaches try to accomplish with the all the time and dollars spent is for someone to validate them. They’re hoping that someone out there can tell them that they are credible, and it’s never going to work. The only person who can tell you that you are credible is you. Training can give you skills, but it can’t give you credibility. Only you can do that. 2. My life isn’t in order. I remember when I started out as a coach, from a financial standpoint, I felt like I had no credibility to coach people. It didn’t matter that most everyone had gotten crushed when the economy tanked in 2006-2008, when I met other business owners and sat down to coach people, I knew the numbers in my bank account as well as my credit score, and they were both humiliating. I owned one pair of dress pants that were black, and I counted on the fact that no one would notice. But what I quickly learned was that no one has all their ducks in a row. That’s the funny thing about this false guilt with regard to credibility – we’re so aware of our own flaws and shortcomings that we convince ourselves that everyone has their lives together but us. That false belief can cause us to think that we have nothing to offer anyone. In my case, if I wasn’t successful financially, then I had zero credibility and nothing to offer anyone. The more I got to coach these successful clients, the more I realized that they didn’t have it all together. In fact, there were struggles and false belief systems in play. There were whole areas of their lives like relationships where these people who could solve the problems of the world couldn’t solve the problems with the people they loved the most. I realized that I’d had success in many areas of my own life that had eluded my clients. I didn’t become prideful or judgmental about it. I just recognize now that everyone has struggles. We’re all having a human experience. You can’t quantify a great marriage like you can sales numbers in a company, but you can define success in new ways, and we all have experienced it. Your credibility is not going to come the day you become a six figure coach, get debt free, or fix all your relational issues. 1) I have experienced success in many different ways. 2) I don’t have success in every place that I would like to have it. 3) I own my life and I’m making bold moves every day to grasp the success that I want. Nothing gives you more credibility than embracing your life as it is and doing whatever it takes to bring it to the next level in all areas of your life. 3. I don’t have a lot of experience. This conflict can actually be a new coach’s game changer. So read this part closely. As a coach mentor, I wish I could take a magic wand and break the spell of this lack of credibility thing off your mind. 1) Even bad coaching helps people. You will get better, but I have not found a single person who’s spent an hour with a new coach and didn’t feel encouraged or helped. You don’t have to have a lot of experience to help people, you only need to be present with them: listening, engaging, asking questions. Most humans don’t get that. It’s invaluable. 2) You’ve been helping people your whole life. You’re not a spring chicken. You’ve lived a life. You’re bringing a lot of experience to the table. What you’ve done throughout your life and throughout your career is develop wisdom, a listening ear, and a passionate heart to dedicate your life to this profession. Maybe the ink hasn’t dried on your credential, but you’re not new. You do have experience. 3) The best way to overcome a lack of experience is to just do it! Like I said, I can’t wave a magic wand and break this stuff off your mind. There isn’t a way to break it off, there’s only walking through it. It’s strange: many coaches won’t start because they think their lack of experience is a credibility killer. But how can you ever gain experience if you don’t start. So you have to start somewhere. And I say, start today. Quit wasting time. The more you coach, the more you’ll be convinced that this is what you were made to do. Furthermore, the more you coach, the more you’ll destroy the false guilt of a lack of credibility.